I am sure a lot of you have seen the youtube video "Charlie the Unicorn goes to Candy Mountain". Well now you can get your own Charlie Unicorn! I laughed when I found this because I think it's so awesome. 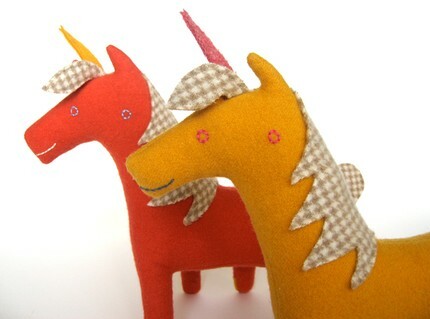 Unicorn no.48 can be bought from penguin & fish etsy shop. Also check out Alyssa's blog. All of my work here and elsewhere are the copyright of Liz Alpass and The Ink House. You’re more than welcome to blog my images with a link back to my blog, however my work cannot be used for commercial use or otherwise without my permission. Thank you for understanding. Enjoy! !